Easy to clean and simple to change! Our removable covers are attached with Velcro® and have special tucking areas so you always have a clean, tailored look. Various styles of back cushions, legs, arms, and more are available for you to build exactly what you want! You choose the firmness, filling, and thickness of your cushions. With our easy changeable system, you will always be able re-fluff and renew the comfort of your sofa. Our frames are quality designed to last through generations. They made with kiln-dried hardwood and are screwed, glued and double-doweled. Handcrafted and manufactured, in our own factory workroom located on the Central Coast of California, USA. 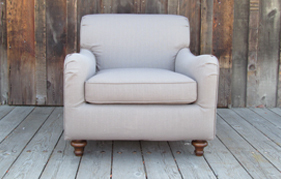 Chameleon Fine Furniture™ is custom made slipcovered furniture that we make right in-house at our factory showroom in Arroyo Grande, CA. 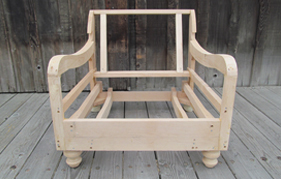 The furniture is built from the hardwood frame to the finished product. 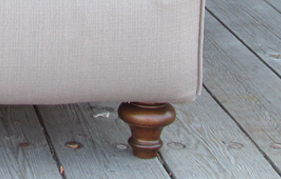 We have workers and seamstresses on site that build the furniture and sew the covers. 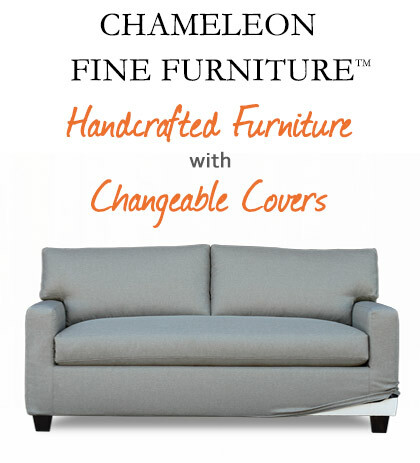 Be sure to visit our furniture gallery page to get started on choosing your Chameleon Fine Furniture™ piece! Find out about how we construct Chameleon Fine Furniture™, our Lifetime Guarantee, and all the fun custom options available! We have Sectionals Hide-A-Beds, Camel Backs, Swivels, Round Arms and Straight arms…and so much more! 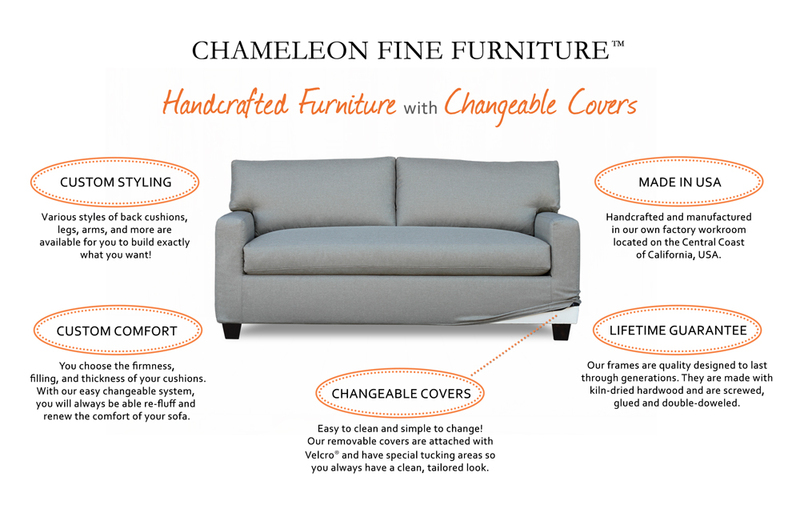 Still have a few questions about Chameleon Fine Furniture™? Here are the questions we get asked the most with all the answers!